In season 8 some of our beloved Winx transformations will return, but it seems in little bit transformed way. First promo picture of new Winx Sirenix transformation appeared on net and we decided to compare it with old pictures. 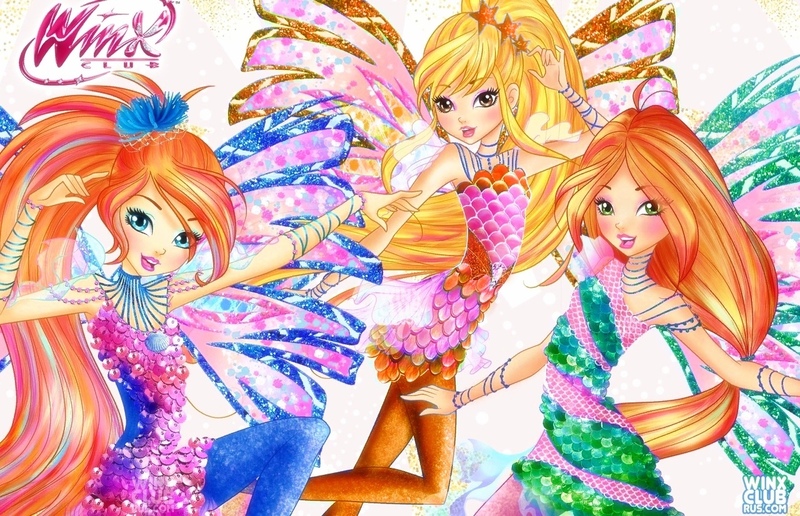 Most viewers were outraged by a single color scheme for all Winx. The user under the name Scarlett Sibylle adjusted the color scheme in the style of each of the fairies, and it seems to us that this option looks good too.